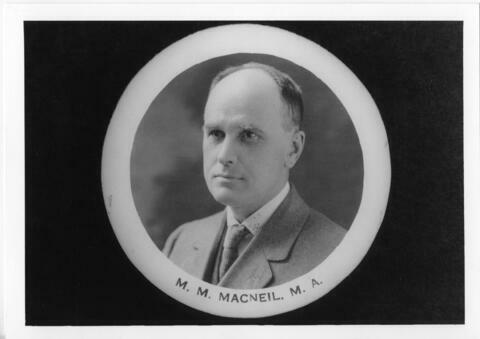 File consists of a photograph of Murray M. MacNeill, Professor of Mathematics (1907-1942) and Registrar (1908-1936). The photograph was selected for inclusion in the publication "The Lives of Dalhousie University, Vol. 2" by Peter B. Waite (page 77). His name is mis-spelled as MacNeil in the photograph.